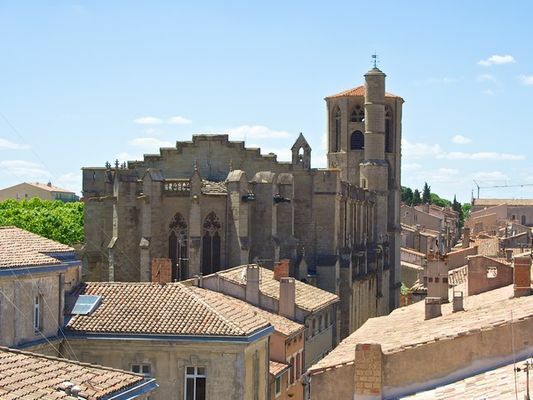 A church in the Languedoc Gothic style dating from the 13th century, it became a cathedral in 1803 and was restored by Viollet le Duc after the fire of 1849. The cathedral plan is characterised by its relative simplicity. It forms a single nave with a 20 metre high vault, lined with several lateral chapels. The chior screen has retained its 14th century stained glass. The sober façade has a single decorative feature in the form of a large rosette 8 meters in diameter, and the adjoining bell tower is relatively massive. There is no review about Cathedrale Saint Michel, be the first to leave one !